Since the 1960s, Davis has been known as the bike capital of America, a nickname embraced by both students and locals. 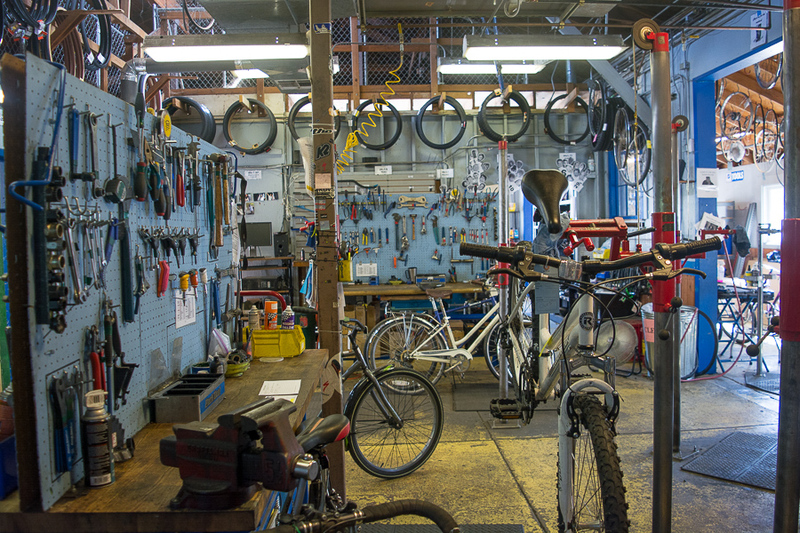 The town is home to 10 bike shops in its 9.9 square mile area, but the on-campus Bike Barn has been voted the best bike shop in Davis yet again. Though it started as just a repair shop in 1971, over the years the Bike Barn has added a store for gear and accessories, as well as a rental hub, and it’s convenient Silo location keeps it busy with customers. “We’re geared towards serving students primarily, so we work on all types of bikes to maintain them,” said Christa Hoffman, a Bike Barn mechanic and second-year environmental science and economics double major. The Bike Barn is unique compared to the other bike shops in town because it is completely student-run and focused on serving the campus community. Hoffman, who has worked at the Bike Barn since fall 2016, also noted that the Bike Barn is distinctive due to its involvement with programs like Aggie Bike Buy and the Helmet Hair Don’t Care campaign. Aggie Bike Buy helps incoming students buy and customize a bike for the start of the school year so they don’t have to transport one when moving onto campus, while Helmet Hair Don’t Care is a campaign that encourages Davis bikers to wear helmets. Hoffman said that the work environment is beneficial for student employees and patrons alike.